In the year 1891, Nikola Tesla was busy spreading the AC current across the world, the telephone was gaining international popularity in Europe and the United States, and the first escalator was patented at Coney Beach in the UK. A spirit of innovation had swept the globe, and a Russian chemist named Aleksandr Dianin was about to make history. By carefully combining different elements, he discovered the compound (CH3)2(C(C6H4OH)2, also known as Bisphenal A or BPA, a substance that has since become one of the most notorious and controversial compounds of our time. First used as an artificial growth hormone for the cattle and poultry industries as well as an estrogen replacement for menopausal women, this artificial estrogen was early identified as being capable of changing how cells grow and change. Considering what it is used for today, the history of BPA is shocking! You can protect yourself from this dangerous toxin by learning its history, what you can do to help eradicate it altogether, and then begin to ban BPA from your life entirely. Before BPA achieved such widespread infamy, it began being used in a way that was never intended: by the food industry. During the 1950’s industry leaders were becoming interested in developing a means of food preservation that would allow goods to safely last for longer on the shelves of stores and in homes. Even though BPA had been used for twenty years as a growth hormone in cattle and as an estrogen replacement for women, it began to be used in the lining of food containers and plastics to better preserve food and to form a barrier against bacteria and pathogens. Almost 5 decades later, scientists began seeing disturbing correlations between exposure to BPA and obesity, impaired brain development, various types of cancers, reproductive problems, impaired thyroid function, and many other health problems. This compound that was being used in every type of canned or bottled food in the world was the very reason behind countless health concerns, particularly those found in children and infants. Despite numerous studies and bans in countries in Europe and Canada, the United States continues to allow companies to use BPA in various types of plastics today. There are countless organizations dedicated to raising awareness about and eradicating BPA from these industries, and victories have been achieved in the baby bottle, sippy cup, and toy industries. As of July 2012, BPA is banned completely from any all baby bottles and sippy cups. Today, it is very easy to find safe, BPA-free bottles and sippy cups from reliable and conscientious retailers. 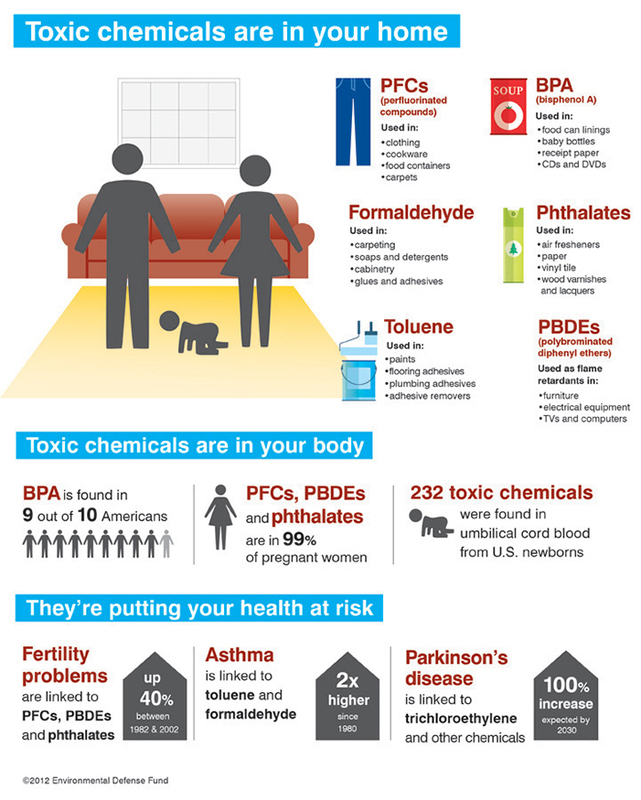 Unfortunately, despite achievements in the baby product industry, BPA continues to be a threat because of its widespread use in household products. Whether you have children and are concerned about their health or if you are simply trying to find ways to clear toxins from your life, you can decide today to create a personal BPA ban. Regardless of if the federal government acknowledges the dangers of BPA or not, you do not have to live with this dangerous chemical that lurks in your pantry and in products around your home. By following 6 simple steps, you can start to make big changes in your life by slowly, but surely, creating a safe distance between your home and BPA. You might be surprised to find that seemingly-innocent items like bowls, plates or even water coolers contain BPA. One of the biggest problems with banning BPA from your life is that it is everywhere! If it’s made of plastic, chances are that it is now or once was made with BPA. When it comes to plastic wares, make sure to read carefully before purchasing. For example, if you find water bottles marked with Resin Identification Code 7 (and possibly even 3), it might contain BPA. 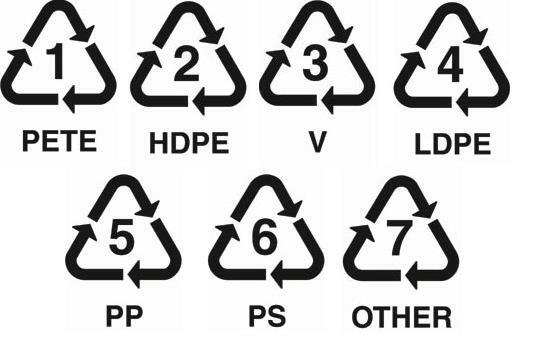 Any other code means that it is made with a plastic that is free of BPA. Also, if it is made of aluminum rather than steel it has a high risk of containing BPA. If there is no Resin Identification Code or if it is not marked as “BPA free,” beware! You can always contact the manufacturer to get more information about possible toxins. Remember, it’s your health that’s on the line, so you can’t be too careful! The most common place you will find BPA is in your kitchen. You might take pride in keeping it clean and ready to prepare meals, but food storage containers are common hiding places for BPA. In fact, one of the most common sources of BPA is canned foods. You might have noticed that when you open a can of food, the inside is coated in a white material. This material is BPA. It is used in food packaging to keep harmful external bacteria from finding its way into your food. Unfortunately, BPA might be doing just as much damage to your body as the bacteria it keeps away. Make sure that you know what toxins are in your food before you decide to bring it into your home. When it comes to making big changes in your life, it’s best to tackle them slowly. After all, if you plan on eating an elephant, you can only do it one bite at a time. You can’t expect to revolutionize your home and ban BpA from your life in a single day, so be patient with yourself! By following step 1 and learning where BPA is hiding in your home, you can know where you need to make the first changes. A good place to start is in your pantry. 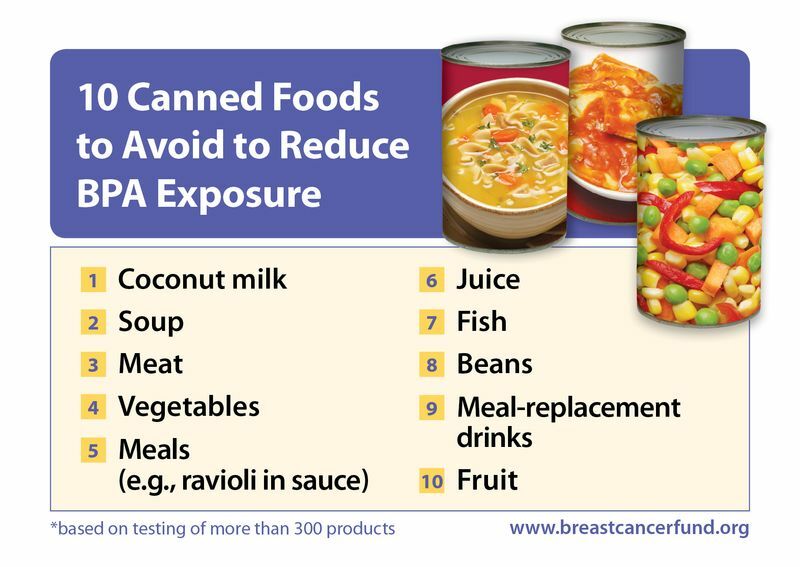 If you find that you buy a lot of canned goods, decide to buy only from companies that are actively trying to cut back on the use of BPA. 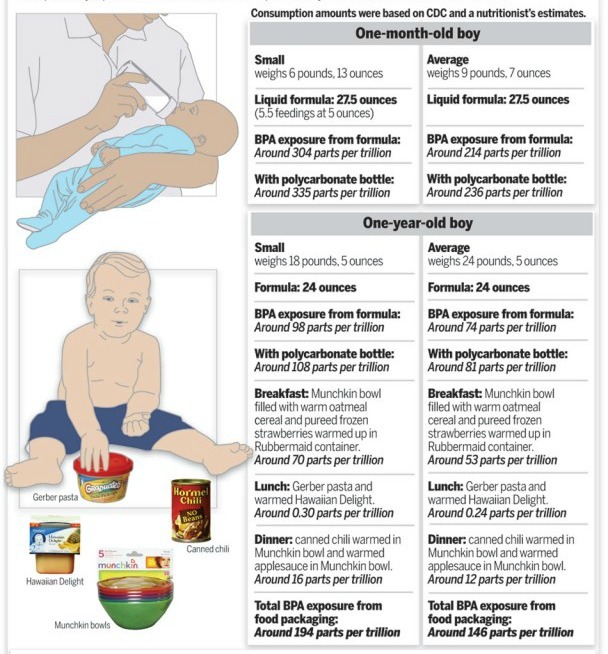 Then, after buying BPA-free canned goods becomes second-nature, take another tentative step. Throw out all of your washable plastic food containers that are marked with a Resin Identification Code 3 or 7 and replace them with glass containers or BPA-free plastic containers. When plastic made with BPA is heated in a microwave, the BPA travels more easily into your food and will then make its way into your body. You could also start buying eco-friendly garbage bags that will not allow toxins to leach into the soil at a landfill. Whether these are the specific first steps you take or not, proceed slowly. If you decide to become BPA-free in a single day, the chances of your new lifestyle sticking are very slim. To make these changes permanent, act slowly with an eye toward the future, so that they have a chance to realistically become a permanent part of your life. As a consumer, you have more power to demand change than you might think. By boycotting companies that are content to continue producing toxin-laden products, you will send the message that you do not support their practices. For most large businesses, the most important indicator of success is the bottom line. When enough consumers ban together and refuse to support irresponsible company practices it will eventually affect how much money that company makes. Over time, your choice to support more responsible companies will pay off with huge changes in how companies view toxins. Just because a company is a “big” company does not necessarily mean that it is irresponsible. There are many large companies that have made a point of reducing BPA in their products like ConAgra, H.J. Heinz, and General Mills. You might think your choice to buy from environmentally-responsible companies won’t make much of a difference, but there is a change happening in the United States. More and more consumers are recognizing the dangers of BPA and choosing to buy from companies that do not use it. The loss of a single consumer’s business may only be a drop in the bucket, but there are more drops in the bucket than you might think. By joining them, you can send a powerful message to the CEOs of these companies that they will only regain your business when they begin implementing safer practices, helping you to ban BPA from your life. Step 4: Spread the Word! Even though you know about the dangers of BPA, chances are that you know a lot of people who have no idea. Start with the people closest to you: your family! You might feel uncomfortable telling them about it at first, but it’s likely that they will appreciate you taking the time to inform them about something important to you. If living a toxin-free life is one of your priorities, those closest to you are likely to listen to what you have to say and make changes as well. You can also inform your friends and neighbors about BPA so that they can protect their homes and families. People are more likely to believe something they hear from a trusted friend or family member rather than a website, article, or public service announcement, so don’t hold back! The more you share, the greater the chance of getting the word out. 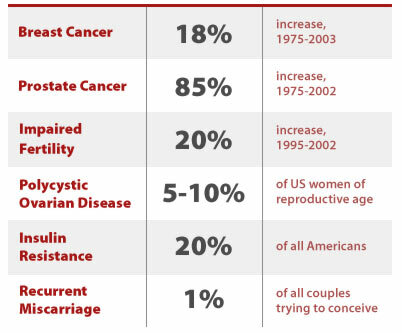 When it comes to raising awareness about the dangers of BPA, you can effect change as far or wide as you want. You can organize or participate in a community campaign to teach about the dangers of BPA, or simply tell your immediate family members. The most important thing is that you tell someone. Even though you start out as just a single concerned person, you can eventually create an ocean of awareness by spreading the word about BPA as far as you possibly can. Nothing seems to motivate a politician more than fear that he or she will not be reelected. One important step you can take to stop the use of BPA in the United States is to contact your local or state legislators to let them know that you vote for candidates who support the banning of BPA. Sometimes our elected officials need a reminder that their constituents have a right to elect someone else in their place if they feel their values are not being represented in Congress. If your senator or representative does not have a history of voting for the controlling or banning of BPA, you can send a reminder that you will be forced to change your vote if there is no change in values. On the other hand, everyone appreciates a thank you note. If your elected official is dedicated to banning BPA and other toxins, you can send a thank you letter to express your appreciation for his or her values. After all, it can’t be easy trying to please everyone, and a simple thank you might go a long way. It is very easy to find the contact information for government leaders, so don’t hesitate to write a letter to your local representative or state senator to voice your opinion. Most leaders will actually send you a response to let you know that they are aware of your feelings. We live in a democracy, so you might as well take advantage of the amazing fact that you have a voice in the United States of America. If living a BPA-free life is something you are passionate about, don’t give up! It takes a lot of people, a lot of time, and a lot of resources to bring awareness to any cause, so don’t feel like a failure if you can’t change the world overnight. Be patient with yourself and those around you, because any information about BPA is relatively new, which means that any lifestyle changes that anyone is making to avoid BPA is also relatively new as well. Whether you are just now learning about the dangers of BPA or have been trying to ban BPA from your life for several years, you can help to make the planet and your life even healthier by following these 6 easy steps. Start today by making a decision to change your life or recommit to a BPA-free lifestyle. Whatever you do, don’t give up! Eventually we will see positive changes in the world because of the efforts of individuals like you who are committed to making them happen. This article was published at the request of Runka, in order to create more of an awareness of the dangers of BPA. Runka strives to protect our fragile environment by carefully sourcing both practical and exotic products that promote the sustainable lifestyle. Visit Runka and you’ll find a vast array of eco-friendly products to enhance your life.